marine applications. Composed of high-strength bronze alloys permanently embedded with PTFE solid lubricants, suited for underwater applications, specified by water power authorities and engineering companies worldwide. Designed for use in nuclear power plants and nuclear powered vessels. Capable of withstanding high radiation and high temperatures. LUBRON AE near-isotropic nuclear grade graphite solid lubricants are employed to provide long and reliable service life. Widely used in industrial and structural applications for moderate to heavy loads and cryogenic to elevated temperatures. Solid graphite lubricants are compounded and compressed into trepanned or circular recesses. Available in combination with bronze, copper, nickel, and Meehanite alloys. 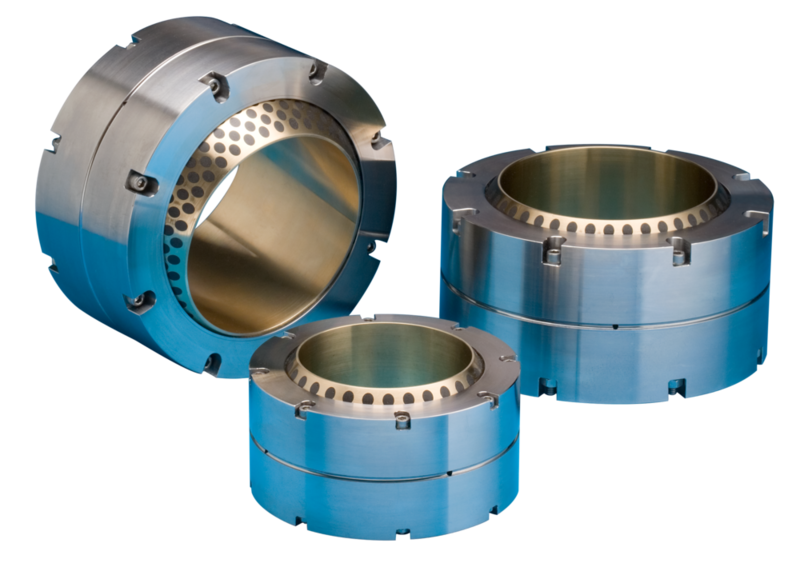 Offers exceptional performance for high-load low-friction applications. Constructed of woven PTFE fabric liners permanently bonded and mechanically locked to rigid bronze, stainless steel, or fiberglass backings. Capable of very low friction and high-wear resistance. Used for low friction and moderate load applications. 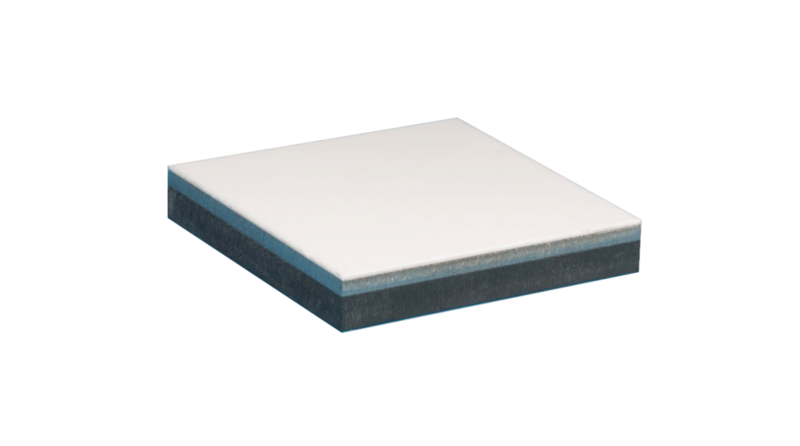 Consist of pure PTFE or glass-filled PTFE resin sheets bonded to a combination of carbon steel, stainless steel, reinforced elastomer, or neoprene substrates. Recommended for loads up to 2,000 psi. Ideal for oscillation, vibration, full rotation, and linear applications. Wrapped bushes, wear plates, and thrust washers are available in both metal and non-metal backed options. Fiberglide excels in the 2,000 to 10,000 psi load spectrum and has a low coefficient of friction.